Price is with autopay billing enabled. Without autopay billing enabled the price is $60. Bonus: If you are running low on data, you can add 5 GB of bonus data with lifetime carryover for just $10. Data is shared between each line. If you want to use Total Wireless's plan on the Verizon network, your phone should ideally support all of the following LTE bands: 2, 4, 5, 13, 66 . Even if your phone does support all of the bands, the phone needs to be approved by Verizon for use on the network. Port your number to Total Wireless and get unlimited talk and text with 7.5GB of 4G LTE data for just $33.25/month! 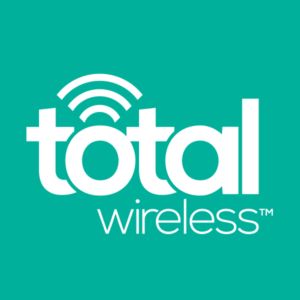 Total Wireless is an MVNO that operates on the Verizon network. Can my phone I purchased at ATT be unlocked where I can use with Total Wireless? Can you use an apple or a Google Pixel? Yes. The Pixel may need to be updated to Android Pie to get MMS working. Can you bring your own devices to the plan? The $10 bonus data carryover now adds 5 GB as of August 22, 2017.